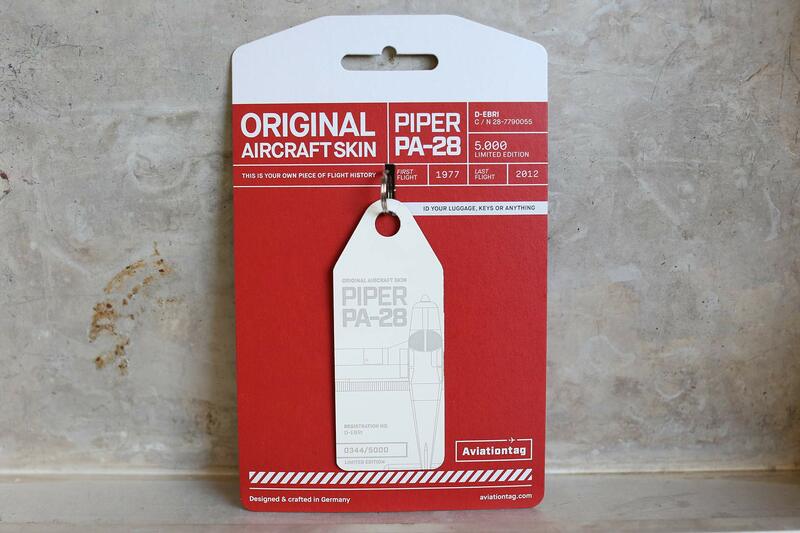 Our limited-edition Piper PA28 series, also known by its alias Archer II, took to the skies for the first time in 1976. The design of the single-engine plane immediately impressed and has been left unchanged for 20 years. With more than 35 years of flight experience, our D-EBRI is one of the first Archer II models ever built. It epitomises the dream of flying like no other aircraft – so it’s no surprise it is one of the most produced planes of all time. 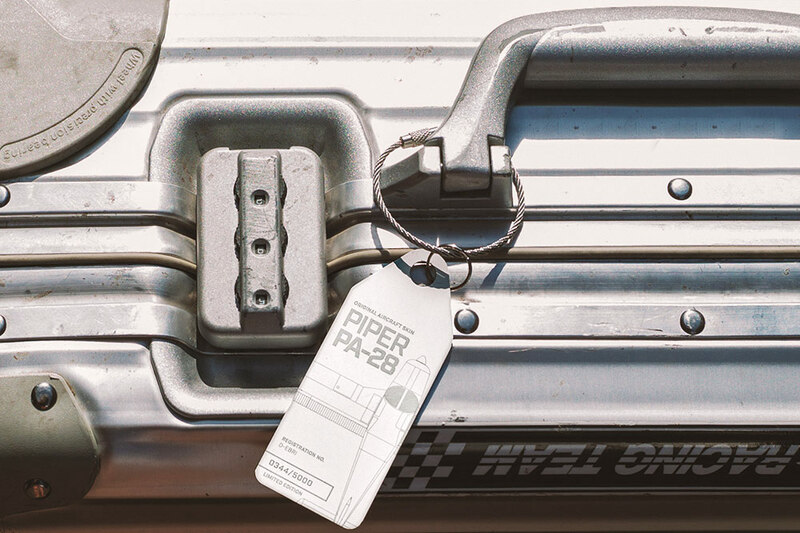 PA28 series – crafted for all daydreamers and high-flyers ready to live the dream. Note: Every tag is unique. 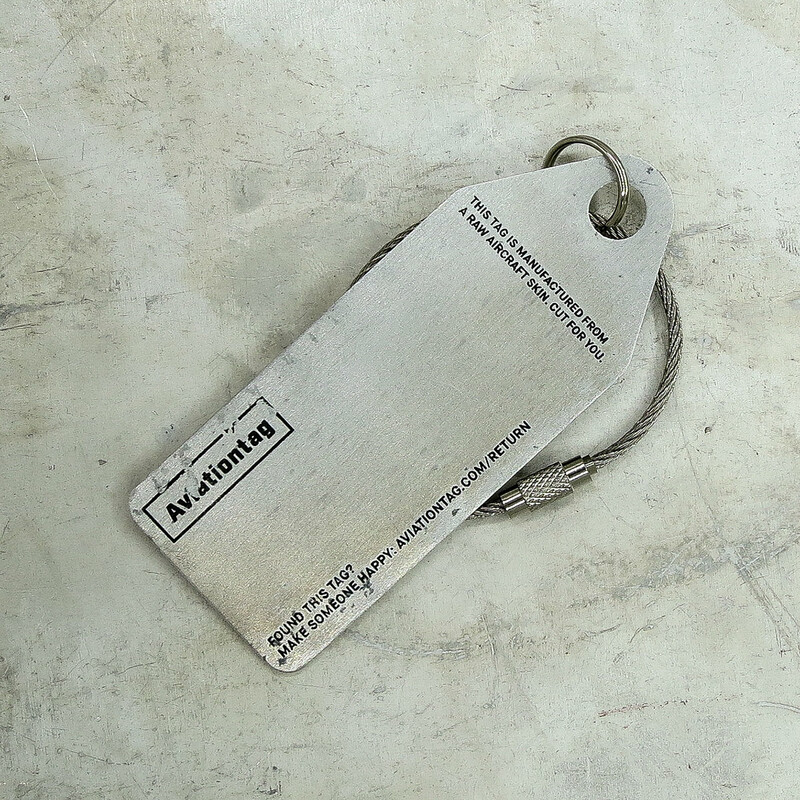 Depending on the plane, tags may vary in terms of haptics, material thickness and colour. Small blemishes bear witness to the plane’s long history and are an authentic reminder of its glory days over the clouds. The PA28 is a metal single-engine low-wing monoplane. 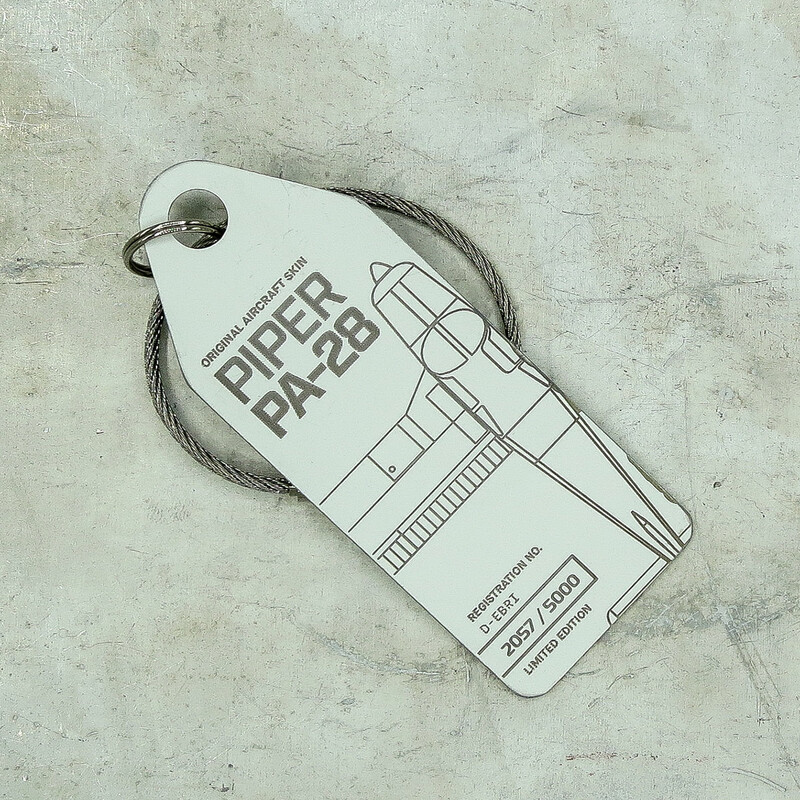 It is the Piper Company’s most produced aircraft type. 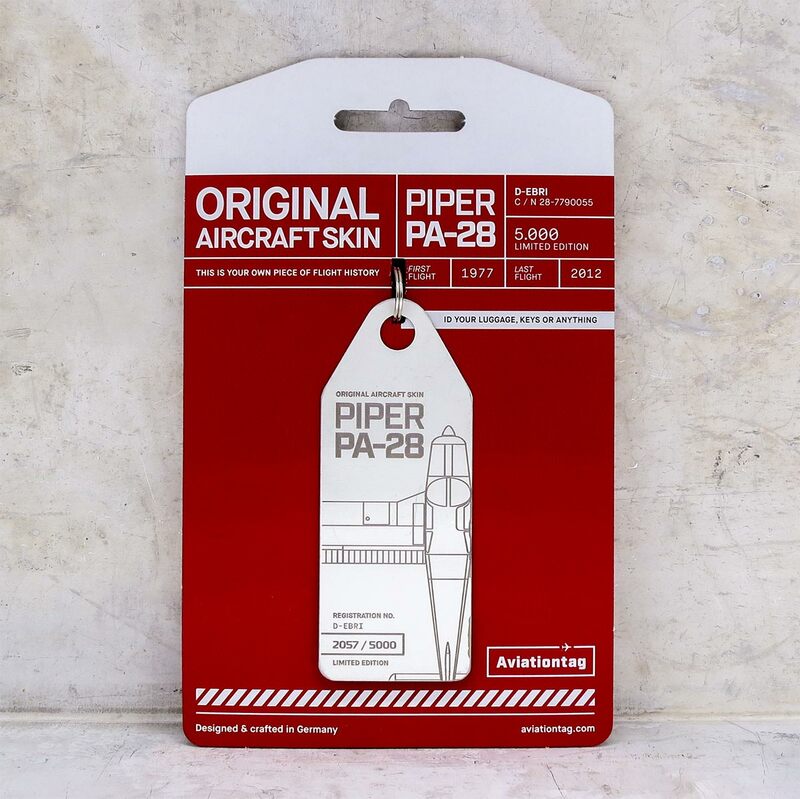 The first Piper ever built – the PA28-160 – took to the skies in 1960. Since then, over 51,000 planes of this type have been built. They are still highly popular, thanks to their low production and part costs, as well as their straightforward flight properties. The Archer III, LX and TX, Warrior III and Arrow models are currently still in production.